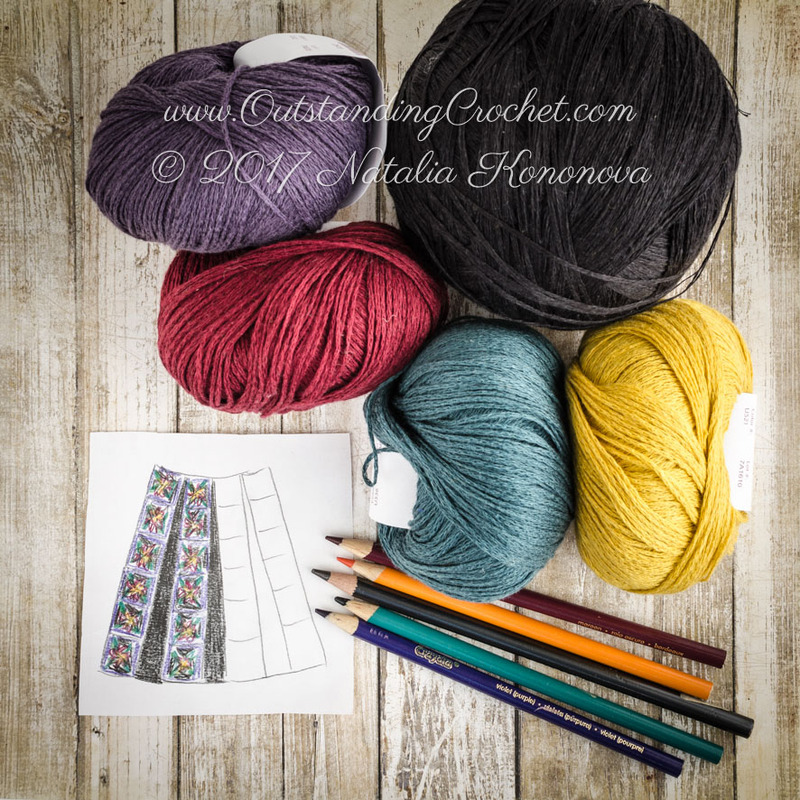 Outstanding Crochet: Sneak peek on my process of working on new crochet pattern - bell skirt. Sneak peek on my process of working on new crochet pattern - bell skirt. It's kind of etno / boho chic style that I admire. I am going to make a swatch and submit for yarn support to Knit Picks. I think their Lindy Chain yarn is perfect for this project. Hi. I'm just catching up on your blog. I'm very happy for you that you can now sell your patterns. You've waited quite a while for that to happen. I started my blog and I have an Etsy shop too so I'm busy. Your son is probably in his 20's by now eh. Time flies. All the best to you.